Our bodies are like an incredible orchestra - each system, organ, endocrine, body part and cell is in constant connection and communication with each other at all times. Health is our natural state and through our innate intelligence - our internal conductor of the orchestra - our bodies are always working to heal themselves. However life’s challenges and stresses - whether physical, emotional, spiritual, bio-chemical, environmental - can cause breakdowns in this communication affecting our ability to heal and function at an optimal level. The symptoms we experience are often the last stage of imbalance and miscommunication and are the body's cry for help - we just have to listen. The BodyTalk System seeks to identify your stress at its root cause and restore this communication - and in so doing it stimulates your body's natural ability to heal itself. With BodyTalk there's no diagnosis, no prescriptions, no adjustments, no needles. Instead, the practitioner accesses the innate intelligence that resides within each of us and knows what imbalances must be addressed to realign the client to health. BodyTalk can be used as a standalone system to treat many chronic and acute health problems, or can be seamlessly integrated with any healthcare regimen to increase its overall effectiveness. BodyTalk's major assets are its simplicity, safety and the speed of results. With more than 2000 practitioners world-wide and 80 instructors teaching BodyTalk in 35 countries, BodyTalk is one of the fastest growing healthcare systems in the world. In these two videos Dr John Veltheim, the president and founder of the BodyTalk System, talks in more detail about the BodyTalk System. In Part 1 he talks about how and why this consciousness-based healthcare system sets itself apart from other modalities and why it's so effective. In Part 2 he discusses the need for a true and complete diagnosis that looks at the root causes of the problem, not just the superficial symptoms, and how The BodyTalk System achieves this. 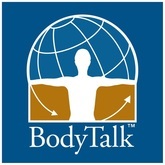 For more information on the BodyTalk System visit the website of the International BodyTalk Association. The BodyTalk practitioner does not diagnose disease or perform massage, manipulations, needling/injections. The BodyTalk practitioner does not prescribe diets, herbs, supplements or medications. Clinical experience has shown that once the body's overall systems are balanced through BodyTalk, clients have exhibited significant improvement in many areas of health. In the event of an emergency seek the help of a medical professional or your nearest medical facility.